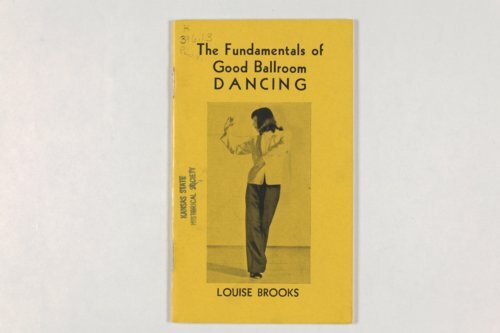 In this booklet silent film star Louise Brooks outlines the fundamentals of ballroom dancing. Born November 14, 1906 in Cherryvale, Kansas, Louise Brooks studied dance in Wichita, Kansas until she moved to New York in 1922. There she joined the Denishawn School of Dancing and Related Arts, a modern dance company, and then the Ziegfeld Follies. Brooks next worked in Hollywood at Paramount Pictures, and afterward in Germany, where she starred in the acclaimed film Pandora's Box, directed by G.W. Pabst. She retired from acting in 1938, returned to Wichita in 1940 and founded the Louise Brooks School of Ballroom Dancing located at 110 N. Hillside. Call Number: K 396.13 Pam. V.